A new breed of user interface, based on Web 2.0 concepts, lets the user intuitively control their digital media. With DragIt the user can control a home entertainment system remotely from a Web browser (Internet Explorer), by clicking, dragging and dropping icons. For example, dragging a picture icon onto a TV icon will show that picture on the screen. Or dragging a song will start playing it. If run on a tablet PC, the user can control their home entertainment system with the tip of their stylus. Screen shot of DragIt (description of figure). 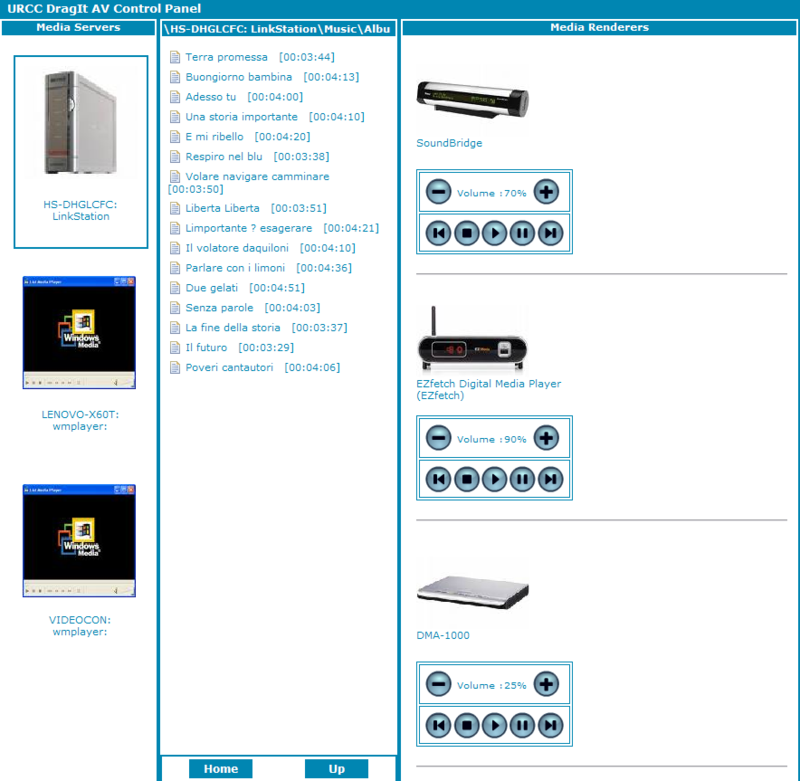 The user can point and drag to browse the media server, and have songs, pictures and videos played on their home entertainment system. Separate zip file with source code: Browse SourceForge project "traceurcsdk", select package "DragIt.zip"
A video clip on DragIt is available on YouTube, showing a demonstration of DragIt. Note that the video is based on version 3.2 of DragIt (as demonstrated at CES 2007).